Typhoon Dodong news updates, public storm warning signals, and weather forecast from PAGASA as of Monday, May 11, 2015 are posted here. In its latest severe weather bulletin, the Philippine Atmospheric, Geophysical and Astronomical Services Administration said the tropical cyclone has slightly accelerated but maintained its strength as it crosses Batanes Group of Islands. As of 10 a.m. today, Bagyong Dodong was spotted 65 kilometers North Northeast of Basco, Batanes, with maximum sustained winds of 160 kilometers per hour near the center and gustiness of up to 195 kph. It is moving North Northeast at 20 kph. 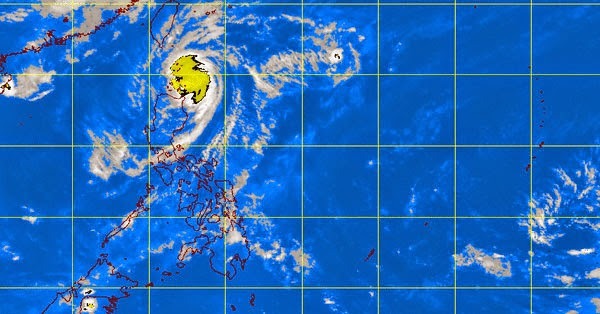 State forecasters said Typhoon Dodong will be 970 km Northeast of Basco, Batanes, outside the Philippine Area of Responsibility by Tuesday monrning. Very light or no damage to low risk structures. Light damage to medium to high risk structures. PAGASA forecasters said moderate to heavy rainfall is expected within the 100-km diameter of Typhoon Dodong. Fisherfolks have been advised not to venture out over the eastern seaboard of Northern and Central Luzon. The public were also advised to refrain from outdoor activities particularly along beaches of Batanes, Calayan and Babuyan Group of Islands today.